♥Love heart pendant necklace with cute puppy paw for pet lover. Great gifts for Valentines-day, Birthday, Mothers day. As a dog lover and owner this beautiful piece really speaks to me. A perfect gift for someone who has lost a pet as it is a lovely gesture of sympathy. 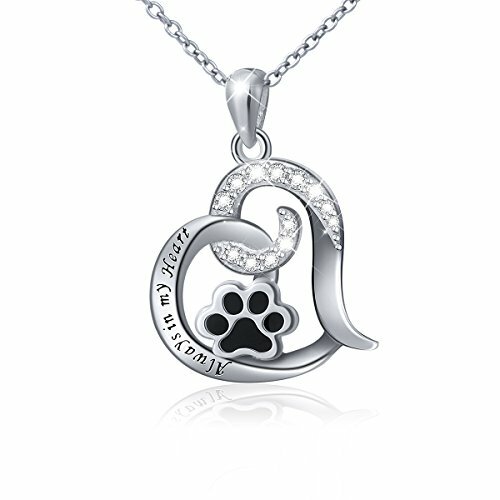 Love this puppy paw necklace — super cute. Sterling Silver and 18″ chain.